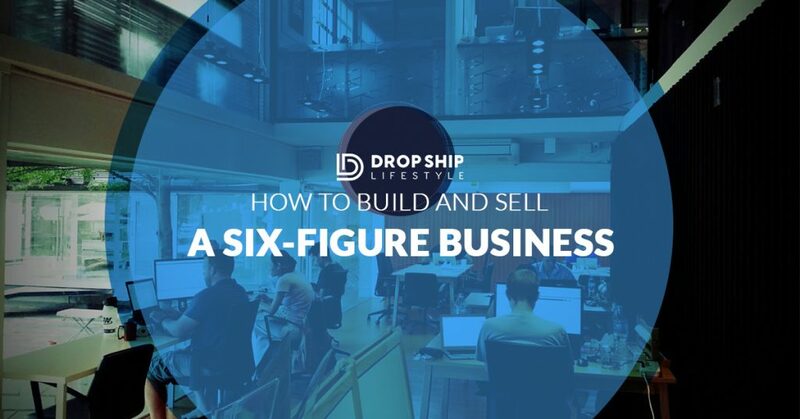 Selling a six-figure online business isn't rocket science. Allow me to explain. When I first read the 4-Hour Workweek, it changed my life. Before that book, I never thought going to Thailand and living abroad for months on end was realistic. At the time, I wasn’t sure what I wanted to do with my life (to be honest, I’m still not sure). But I figured I had nothing to lose so I gave it a shot. I spent the next few months teaching myself how to create an eCommerce store. At the time, I really didn’t know what I was doing. I made a ton of mistakes. I didn’t know how to price my products and I had NO intention of selling it. In fact; I didn’t even know this would ever be an option. The thought of an online store that I could potentially start for under $50 becoming worth over half a million dollars within a few years never even crossed my mind. This is one of the more notable stores I sold. My hard work eventually paid off... but I had to learn A LOT in the process. After a few months, I slowly started to figure it out. I wasted tens of thousands of dollars (still less than college) on ads, but it was worth the investment because it gave me an eCommerce education. After some early success, I knew I would be able to build something that would make me a full-time income… but something worth more than my parent's house? I couldn’t even fathom this. I thought making money online had a ceiling. I figured I could get by, but I would never “get rich”. Well, I was wrong. And I’ve never been happier to admit it! After about three years of running an extremely successful drop ship store with a business partner, the time had come for us to part ways. We were both moving on to other projects so we started to discuss potentially buying the other person out of the business. The problem was we had NO IDEA what our online business was worth. We were both making great incomes off it but neither of us had sold an online business before. We knew how much profit it made, we knew what is was capable of, but we had NO IDEA how to price it. I decided to start calling professional online business brokers to have them value it. When I talked to the first guy, his number was so high I didn’t believe him. Then I talked to a few more people, and I realized that they were all spitting out similar numbers. I could not believe what I was hearing! Our business was worth WAY more than I imagined. DID YOU KNOW –​"An online business that has been established for only 1 year can sell for 20 times its monthly earnings"
When I first learned this, I couldn’t believe it. It was almost TOO GOOD to be true. My business partner and I ended up selling the store for over six figures. When we did, I had another epiphany. I knew that this eCommerce thing had a lot of potential (it STILL does). That’s $180,000 PROFIT in only twelve months from only ONE website which only cost me about $300 to make (with outsourcing)! This isn’t some sort of pipe, dream folks. I’m living proof that it can happen because is has happened. Buying websites for $50,000 or $100,000 isn't as rare as you'd think. Expert Justin Cooke of Empire Flippers admits that there aren't as many profitable websites for sale most people think. I honestly hate bragging. If you’ve met me, you know that I’m not about money and buying bling-bling and all that crap. I care more about helping people. I love eCommerce but I’m also passionate about helping people.That’s why I created a community, to help people start their own online business. In this community, members have access to all the video training materials that I WISH I had when I was just getting started. I’ve watched over​ 10,000 (AND counting) members take the course. I’ve met up with many of them in Thailand and congratulated them on taking action. Now, many of them are living the life of their dreams. ​A bunch of DSL members enjoying a night out in Krabi, Thailand during our 2015 retreat. Follow the Drop Ship Lifestyle course step by step. Keep EXCELLENT accounting records, any serious buyer is going to need to see proof of your income. Hire a broker to sell your website. Auction sites get nowhere near the value that a broker can get for you. Once you are ready to sell get in touch with me and I will put you in contact with the team of brokers that I use to sell all of my websites. I’m serious. I want to help you succeed. If you have any questions regarding forming a business to sell or where to sell a business of this size please post in our private member's forums. I know it seems miles away if you haven’t gotten started, but trust me, it’s MUCH easier than you think. "Everything seems impossible until you do it." Congrats on the business, hope I can manage to get to the same point as you guys asap. Btw. I have followed this guys for a long time now: [link removed]..what is you opinion about them? I like the idea of keeping really accurate accounting records for selling a business later on. I bet keeping records like this not only increases the value of the company, but it also would make the selling process so much quicker. Thank you so much for the business tips! The 4 Hour Work Week is a classic. It should be a pre-requisite for all entrepreneurs. Congratulations on your success. I just found your website and am enjoying the content on here. It’s crazy how valuable these sites are. If I sold my site that was losing money for over $2k then there’s some pretty serious demand building up.